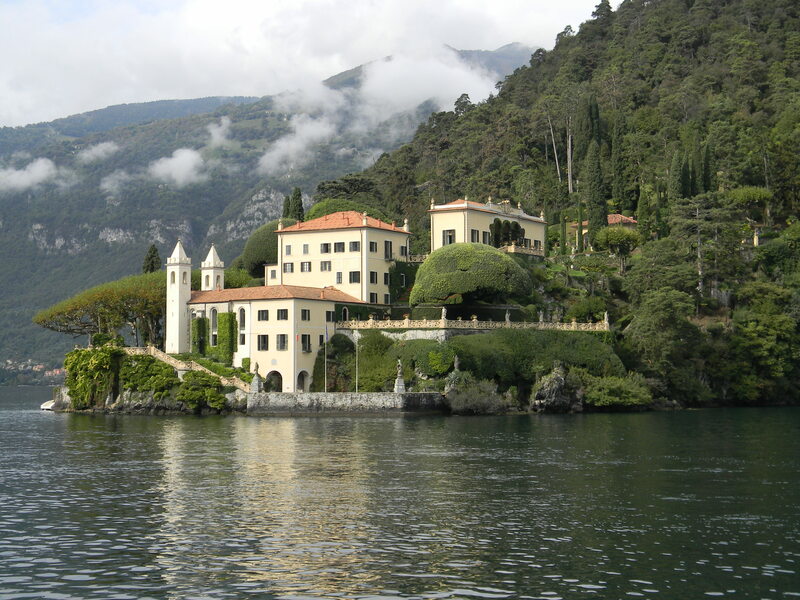 George Clooney’s northern Italian home is known for posh restaurants and hotels, but this Matisse-shaped lake is not just for glitterati. This northern-Italian oasis, shimmering in the ever-changing light at the base of the Alps, is a peaceful and breathable alternative to frenzied cities like Milan (a mere hour away if you need a fashion-forward fix). Our sleepy lakeside retreat in the tiny village of Argegno is perfect for an extended stay, with or without a Clooney-sized budget. 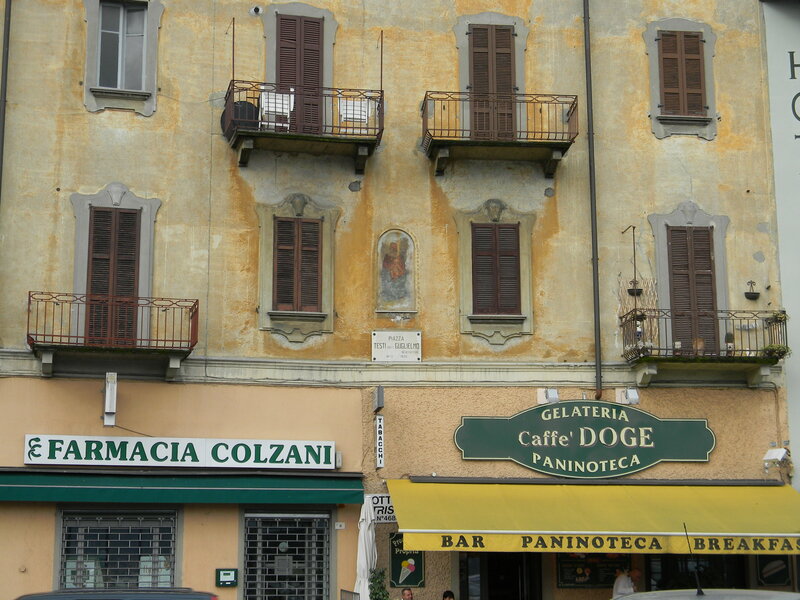 Our modern, well appointed apartment is 111 steps up from Argegno’s tiny center — we count them both ascending and descending. 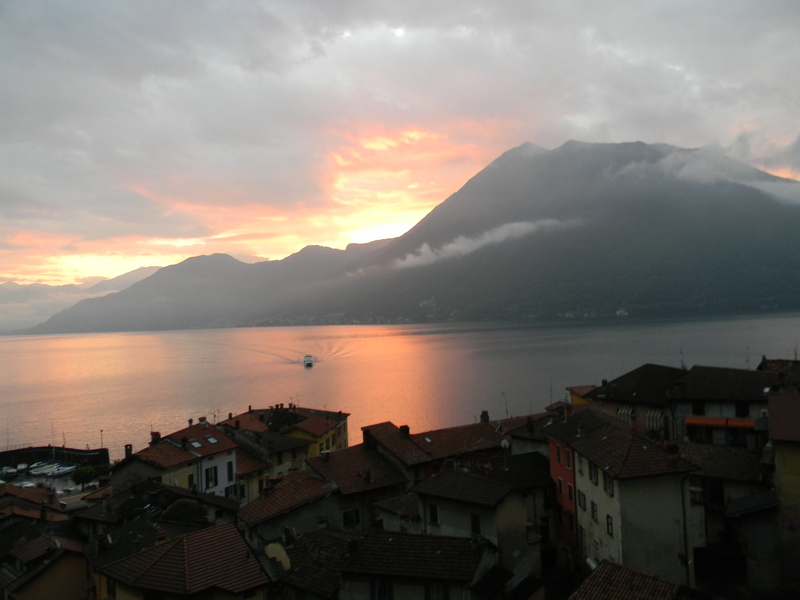 Contact Barrie or Julie Webb at ItalianApartments.co.uk for dependably clean and comfortable units with spectacular lake views. In this ancient setting, Wi-Fi and flat screens may seem incongruous, but for people like me who combine business with pleasure, they are essential. Our apartment’s best feature is wraparound floor-to-ceiling windows for abundant light and views, views, views. These peaceful hills are dotted with tiny villages surrounded by pines, olive trees and lush flowering azaleas. 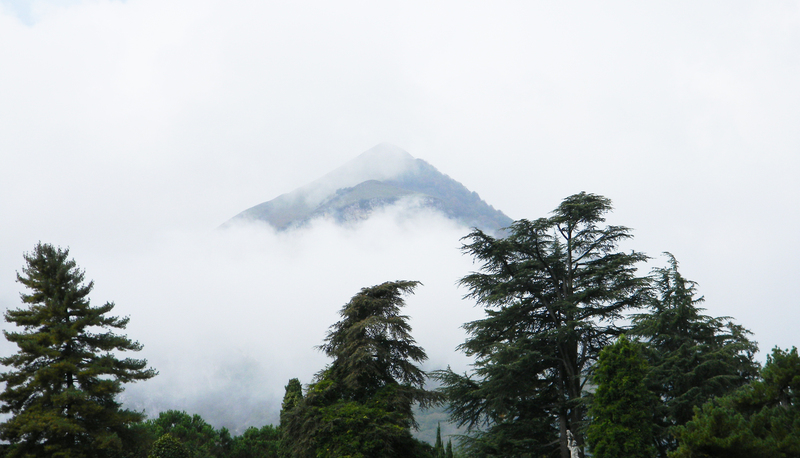 The clouds hang low on the hills like fluffy white stoles in old royal portraits. The rain keeps the terra-cotta rooftops a vivid red-orange. The sun breaks through the dappled gray to tantalize and encourage, promising an extended stay soon. Pricey boat rentals and cruises are aimed at tourists — most often little trips with big price tags. 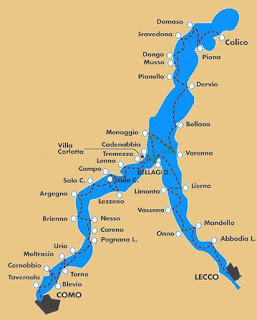 We prefer the relaxing Como Ferry (www.navigazionelaghi.it) whose well-appointed vessels depart from the center of our little town and run all day. A popular stop is Bellagio, the beautiful promontory that I love despite its commercial, touristy vibe. I disembark and hang a right as everyone else heads left. There you’ll find quiet cobbled streets along the lake, away from the crowded shopping cluster, where you can stroll pretty vineyards and villas. Do the main drag if you must, but be prepared to feel shopped-out and maybe even a little ripped-off. 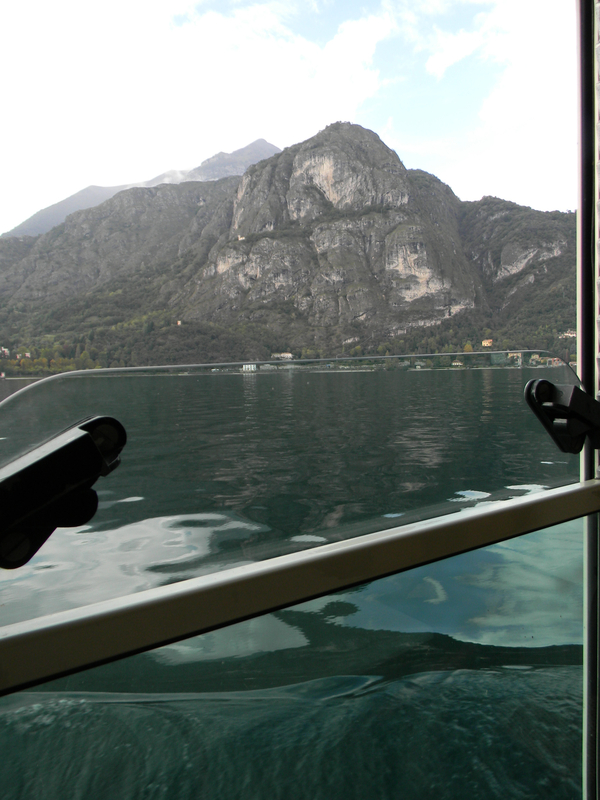 Ferry passengers hop-on and hop-off at dazzling stops from Como to Domasco. 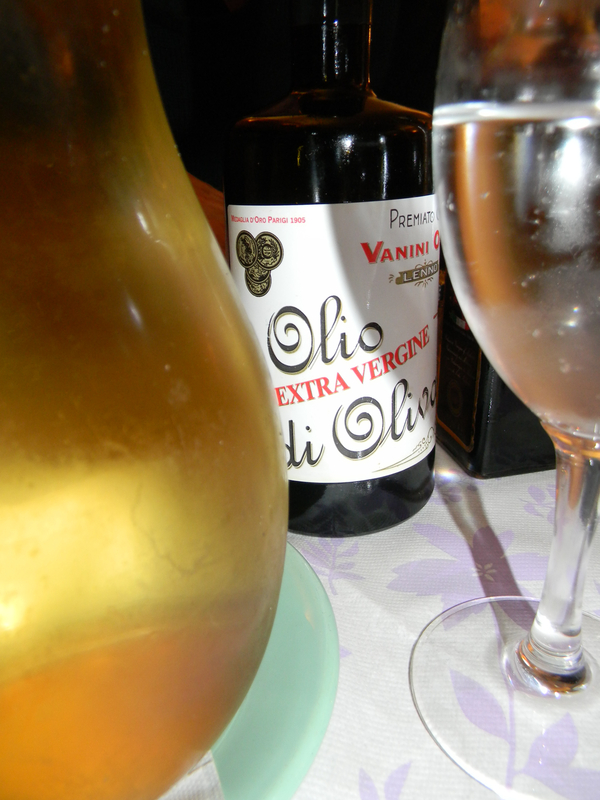 We grab tickets for 16.70 euro and cruise a few hours to Menaggio for our traditional lunch at Bar Costantin on Via Carlo Camozzi, a modest, hidden gem nestled in the uphill residential maze. This is where the locals go for thin-crust masterpieces. My go-to ‘Pizza Andrea’ has four cheeses, spinach and rucola. It’s rich and decadent, with crust as thin as a postage stamp. The sleepy boat back to Argegno at dusk is full of yawning passengers and the aroma of espresso as they try to wake up. The lake’s abundant trout and perch are readily available and must not be missed. We like Argegno’s Barchetta restaurant for traditionally prepared lake-fish that is delicious and enough for two. Add a bowl of rustic pasta like golden pachetti with butter and sage, plus a fresh insalata or creamy spinach. Barchetta means “little boat,” and with its prime lakeside location, this restaurant is as close to catching it yourself as it gets — without a Licenza di Pesca. As the sun dips behind our lakeside retreat, we enjoy a glass of wine or two on our terrace, overlooking the wonderful lake view. We reflect on the day’s activities, mostly honing our far niente skills (i.e., doing nothing). Sometimes we head down the 111 steps to Il Colombe wine bar, with its abbondanza of bar snacks and whose wine pours can sometimes seem stingy to tourists. Or head across the piazza to see Alberto at enoteca Pensavo Meglio whose bar snacks are a bit more restrained but whose pours are a bit more memorable. 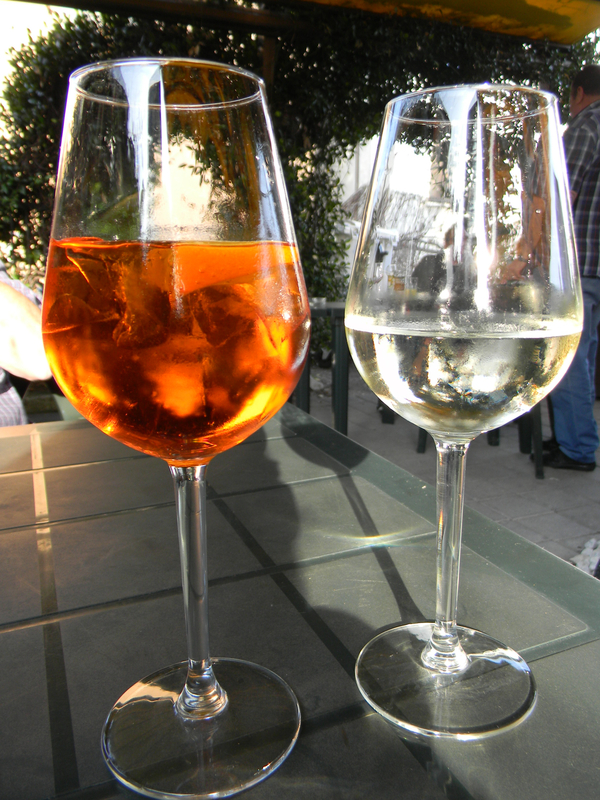 Try an Aperol spritz at Alberto’s — the festive orange color is my kind of lakeside sunset. 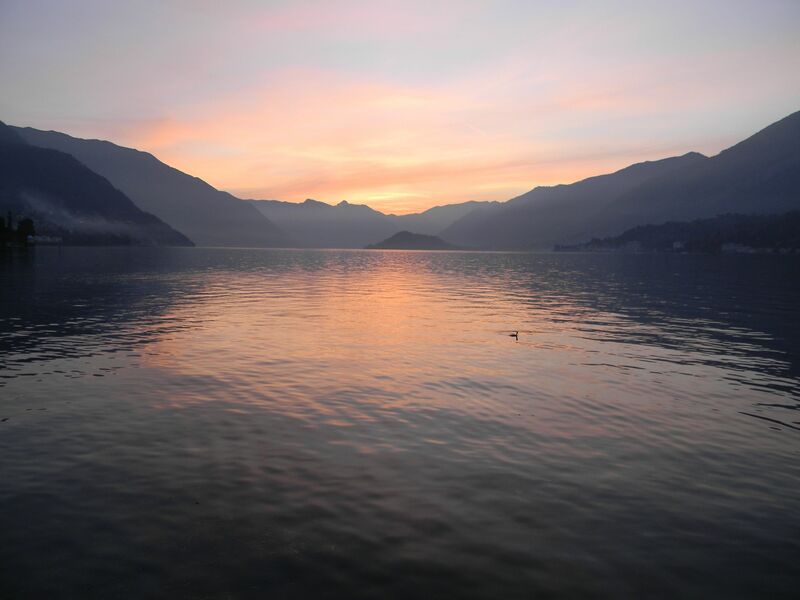 Every time you turn a corner here on Lake Como, there is another sunrise, sunset or breathtaking view that is not to be missed. Whether you are a spontaneous traveler or detail-oriented planner, reliable travel and tourism experts like FirstChoice offer transportation and touring options — even experienced travelers need a little help now and then. These beloved Como hills provide both inspiration and a feeling of accomplishment that is unique to travel — best described as utter and total satisfaction. 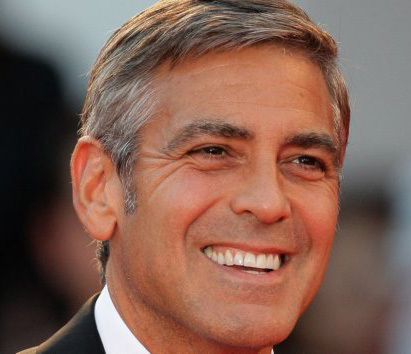 This entry was posted in Food and Wine, International, Italian Travel, Lake Como, Travel and tagged Argegno, Bar Constantin, Barchetta Argegno, food, food and wine, George Clooney, hospitality, Il Colombe, Italian cuisine, Margolis-Pineo, Milan, Pensavo meglio. Bookmark the permalink. Honey, this is another brilliant posting. When will you take me? I can pay now! But no 111 steps for me. Good thing David replaced his knee before you went. These are also superb photos. You rock, kid!